One of the world's top sports marketers has become the first company to have a Twitter campaign rebuked by the UK ad watchdog, the Advertising Standards Authority. 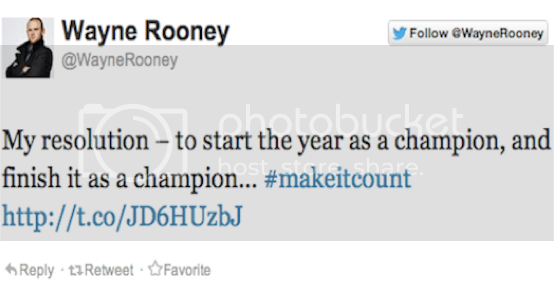 The tweets from english soccer players Wayne Rooney and Jack Wilshere ran last January, with the ASA recently ruling that both tweets were not obviously identifiable as marketing communications. "Nike fell foul of the rules when marketing through the Twitter accounts of two football players, Wayne Rooney and Jack Wilshire," the ASA writes. "We considered there was nothing obvious in the tweets to indicate they were Nike advertisements." The Beaverton, Oregon apparel maker countered by saying they "believed the tweets could be objectively viewed as marketing communications because of the presence of the Nike URL within the body of the tweets, which indicated that the tweets' purpose was to direct followers to the Nike website." The company also said that both Rooney and Wilshire were already well known for being sponsored by Nike. The ASA says it exists to make sure all advertisements are legal, decent, honest and truthful.